... It makes sense to use it in the room where you sit on the throne. 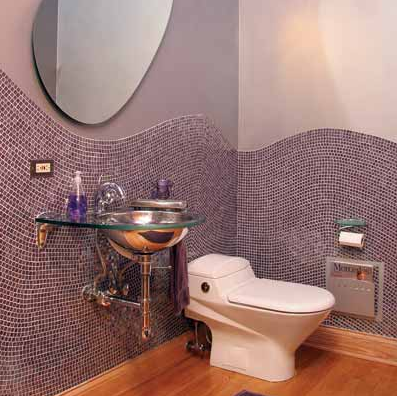 I love this bathroom and want a wavy tile decoration of my own. And look how they even save space with a streamlined magazine rack attached to the wall. Here's one that even includes toilet paper holders!